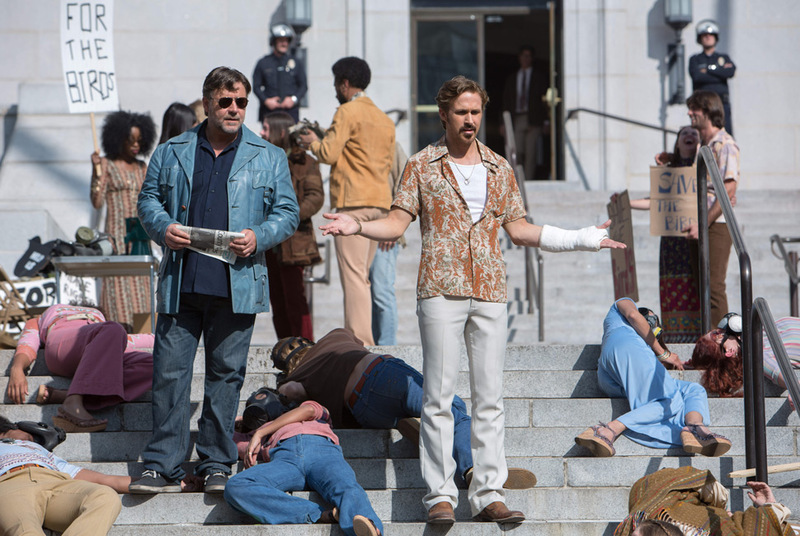 I watched The Nice Guys over the weekend, mainly because we’d bought a new DVR and wanted to make sure it worked. I’d not seen it before, because I’m not much of a Ryan Gosling fan, but it was actually hilarious. Set in the late 70s, when there were protests in Los Angeles about the suffocating smog pollution and US car manufacturers were actively resisting the move to unleaded petrol, it comes across as a slightly humorous private eye/missing person movie with a good cast and decent script. There is so much more to it than that, though. Yes, it’s a murder mystery linked with a missing persons/private eye investigation, in which a hapless Ryan Gosling finds himself slightly unwillingly working alongside thuggish Russell Crowe to find out why someone is trying to kill Amelia, the girl they’re looking for – having already killed most of the people she knows. Given that Amelia’s mother is the Justice Secretary, suddenly the wheels of the conspiracy engine start to turn. Amelia has made a protest film about the role of Detroit motor manufacturers actively opposing the adoption of catalytic converter technology, which she plans to show at the LA Motor Show. Unfortunately, her mother relies on those same automobile manufacturers to stay in office and the suggestion is that a secret state sanctioned organisation are killing people involved in the movie to protect the motor industry. If it reminded me of anything, it was Silkwood, the true story of anti-nuclear whistleblower Karen Silkwood who died in unexplained circumstances in 1974. There has been suggestion that she was murdered by the nuclear power plant she worked for (although they lost a civil case for the working practices that she highlighted, there has never been any evidence that they acted criminally in any way) or even that the state energy sector had her silenced. Of course, it also could have been a dreadful accident. We will probably never know. Once the state or big business get involved, it is very easy to construct a conspiracy theory to fit any awkward facts that don’t appear to be conveniently explained – or even awkward facts that are explained a little too conveniently. It was great to watch a film where such an important point was made in a light-hearted and humorous way. I really enjoyed the film (which had an excellent soundtrack, by the way) and I thought its mix of environmental politics, noir sensibility and retro styling really worked well. Are Civil Wars Ever Justified? I know, it’s a leading question if ever there was one. For every cause, there is an equal and opposite cause feeling just as strongly that they are in the right. I only mention it because I’m reading a book about the International Brigades in the Spanish Civil War at the moment, and it occurred to me that only this and the English Civil War of the mid-1600s have really engaged my brain. I have always believed that the Roundheads were right in the supremacy of Parliament over the divine right of kings, and I’ve always believed that a military uprising against a democratically elected government has to be resisted at all costs. This is just my personal feeling – I have never needed to make an active decision whether or not I could or should fight in a civil war, and that is something I am grateful for as people in some parts of the world do not have that luxury. And certainly there is no political cause at the moment I feel passionate enough about to risk my life in a foreign country purely on principle. Yet that is exactly what thousands of men and women from Britain, Ireland and France did in 1936, fighting in support of the Communist Government in Spain which was being usurped by the military, under the command of General Franco. Some of the Brigade members were well known figures – George Orwell and Stephen Spender being just two – but the majority were ordinary working class men and women who had grown sick of living in abject poverty, with no real opportunity of work and, in some cases, of being beaten up by Oswald Mosley’s black shirted supporters. Some came home – many did not. Even so, even after having been told numerous times that they were going to war and it would be horrific, they stayed and they fought because they believed that fascism could not win the day. Unfortunately, as history has shown, they were wrong. Fascism lasted in Spain until Franco’s death in the mid-1970s. It is now a democracy, although not a wealthy one. Interestingly, the Civil War is seen very much as a dark period, not often discussed, as people reflect that perhaps they may have supported the wrong side (whether or not that side won). 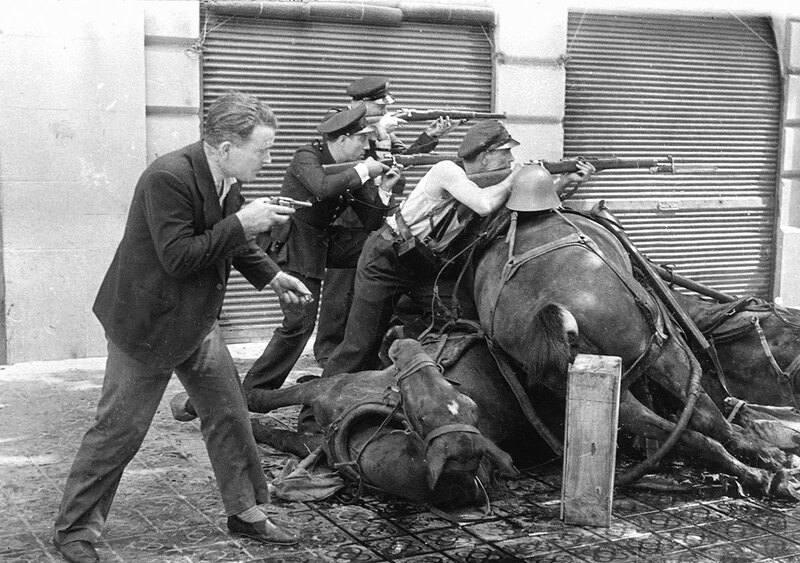 I find it interesting, though, that the Spanish Civil War provided enough justification for people to walk away from homes, families and (in some cases) livelihoods to go and fight in a foreign country for a cause that they believed in. It’s not something I can really understand – perhaps our closest example these days is Greenpeace activists on the Rainbow Warrior (whichever number it is now – 4 or 5?) chasing Japanese whalers or polluting oil tankers. Am I the only person on the planet not to be bothered by an ethnically diverse Roman Empire? Apart from Mary Beard, of course, but then she frequently gets into trouble for challenging conventional stereotypes. Unfortunately, the reality is very likely that Cleopatra didn’t look anything like Elizabeth Taylor and it’s doubtful that Mark Antony looked anything like Richard Burton either. That neither interferes with my enjoyment of a fine Hollywood blockbuster nor with my appreciation of the achievements of the Roman Empire. If one thinks about it, this really shouldn’t be an issue at all. Any empire, whether it be Roman or British, which covers a number of countries and continents cannot expect to be ethnically and culturally homogenous. People who lived in Victorian India brought home a love of curry and cooks experienced in making it; sugar tycoons used West Indian slaves to build their fortunes (another unpalatable truth about the white stuff, but there we are) and frequently brought them to England as servants if they were lucky; merchants came from all over with their goods and often stayed where the markets were good. Result – an ethnically diverse population. So what’s the big deal? It is simply beyond the realms of possibility to say that the Roman Empire was entirely homogenous. Perhaps the power base may have been – only Roman citizens could hold positions of power and they were very selective about who gained citizenship – but I’m not sure that’s not the issue here. I don’t doubt that many Roman slaves would have been North African, Egyptian or even Nubian; gladiators similarly would have come from diverse backgrounds. 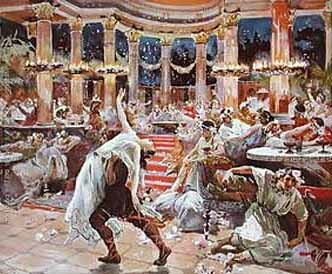 Roman patricians would have wanted their creature comforts and their entertainments, so why would they not have brought their slaves and gladiators? I’m no classicist and I’m the first to admit that, but I really don’t understand why people find it so difficult to accept that the Roman Empire was a big place with a lot of different people who weren’t all alike. It doesn’t change anything. They were still brilliant engineers, won some cracking battles and had a very organised army in a time when organised armies were a rarity. The fact that some may have been black doesn’t really matter. I’ve said before and I will say again (and will keep saying until the message gets through) that Goth is a broad church of all shapes, sizes, colours and creeds – and if it needs saying, abilities. There is no reason why people who are blind, deaf, have a disability or a chronic condition shouldn’t consider themselves Goth. It’s not a fashion statement, after all (and I think I’ve mentioned that a few times as well). Speaking entirely personally, I’m deaf on one side after extensive ear surgeries and I think I have previously mentioned that I wear glasses. 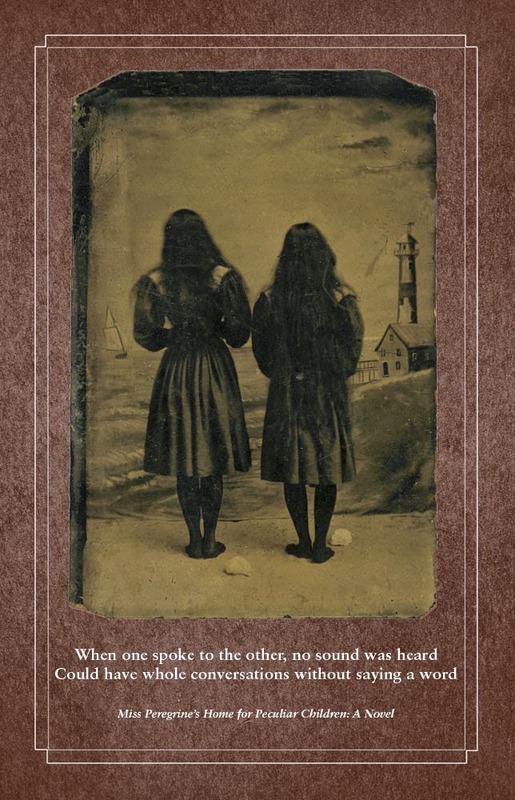 I’ve never felt excluded or unwelcome in the Goth community – quite the contrary. Obviously there are practical considerations to bear in mind, but I think they would apply regardless – if you use a wheelchair and have arranged a meet up, to make sure that the venue is accessible, that kind of thing. 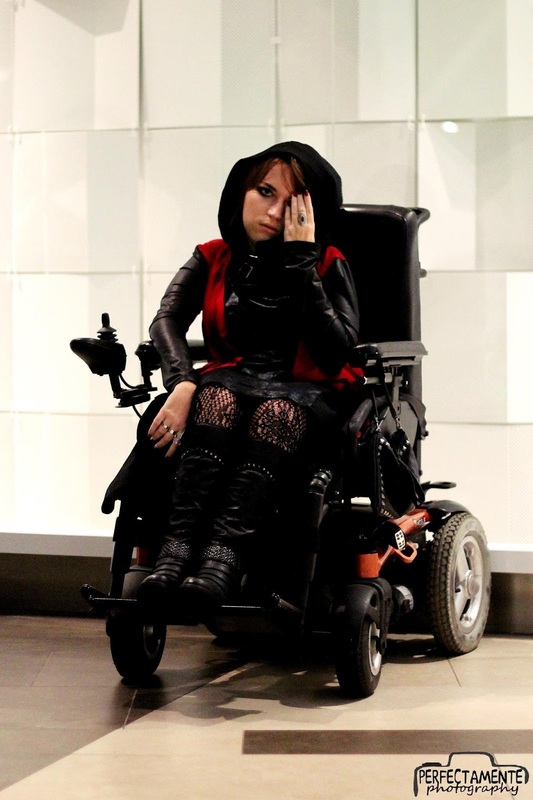 Actually, if you are a Goth wheelchair user, I’d love to see if you’ve vamped up your transport in any way! The point I’m trying to make is that there’s no reason to feel excluded. Why should there be? The whole point about Goth is revelling in the fact that we are not the same as everyone else, and having a disability – or difference of ability, or however you want to phrase it – makes no difference in that regard. If you are blind, deaf, a wheelchair user, have a learning difficulty or a chronic illness of any kind – go for it. Just go for it and have a great time. 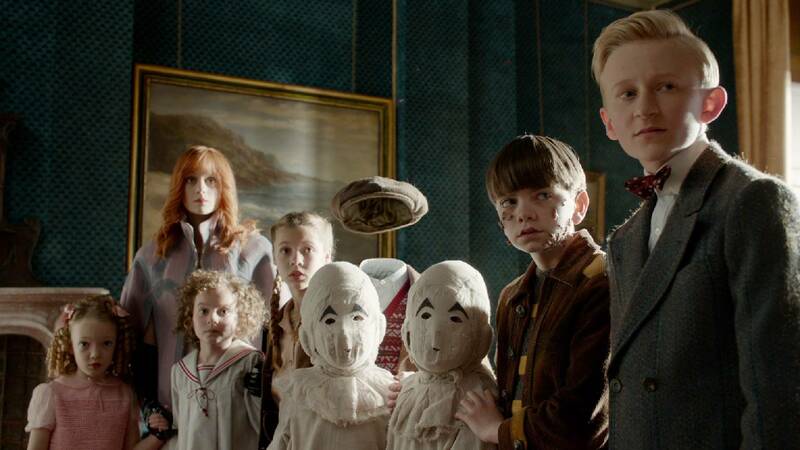 One thing I absolutely love about Miss Peregrine’s School for Peculiar Children is how the author, Ransom Riggs, has managed to weave some weird and quite wonderful vintage photographs into his story in a way that makes it feel entirely natural – as if the photos were taken to illustrate the book, rather than the book being written to do something with the photos. It does make me wonder what people “back in the day” were thinking when they took photos of the back of someone’s head, or a mocked-up strong man. And as for some of those Christmas Grotto photographs, no wonder the Offspring refused to go in! I can’t help but think that the late Victorians and early Edwardians were really captivated by what photography could offer and played with a variety of effects, including double exposure and something like an early form of Photoshop. This trend continued as technology improved and colour photography started to gain in popularity. Of course, the modern trend for digital photography does, in a sense, take all the fun out of it – I used to love receiving envelopes from places like Prontaprint and trying to remember what was going on when I took that particular photograph – or even when an envelope came back with someone else’s snaps! It was worse when the Prontaprint envelopes didn’t come back at all, though. God only knows who’s got the photos from my trip to Malta back in the Nineties. Yet it never once occurred to me to try and put together a sequence of some of these photographs and try to form a story around them. I might try that one day, when I have time, photographs and half an idea in my head. Riggs has demonstrated that not only is it possible, but you can also create something incredibly creepy indeed. After the phone hacking scandal, the Leveson Enquiry and the demise of the News of the World, one could be forgiven for thinking that news journalists had absolutely no ethical structure whatsoever. I would like to say that this movie put pay to that suggestion, but I would be fibbing; if it is to be believed, nothing must stand in the way of a good story. The cast is unbelievable; Rene Russo plays the News Producer for whom ratings are everything and Riz Ahmed plays the hapless assistant to the Nightcrawler who actually does have some kind of scruples at the things he’s asked to do. 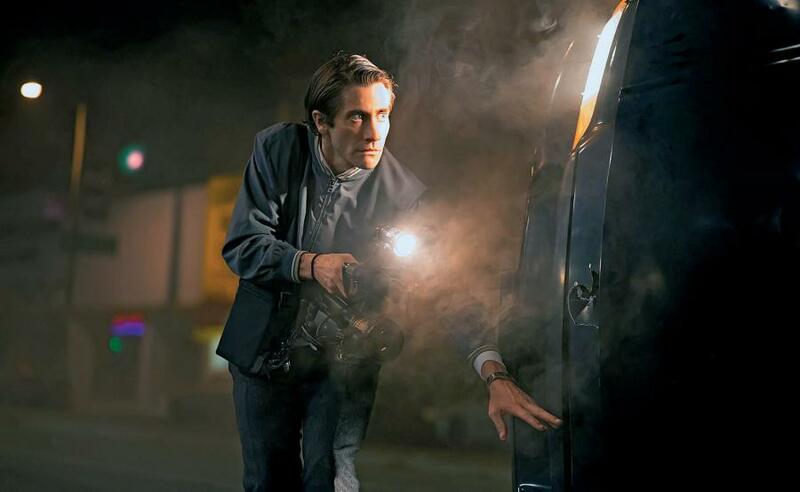 The revelation for me was Jake Gyllenhall, haggard and shrunken faced and wonderfully creepy as the sociopathic Lewis Bloom who will stop at nothing to get the shots and stories he wants, even if it means moving the evidence and staging the accidents. What’s a little tinkering with someone’s brakes if you know it’s going to give you the lead story on the morning news the following day? Lewis Bloom is thoroughly amoral. He thinks nothing of stealing metal fencing (and a security guard’s watch) to sell to an illicit scrap metal dealer – and then ask the dealer for a job. He uses a thoroughly disconcerting form of management speak to justify everything he does – while he’s clearly intelligent, he has no social skills whatsoever. He preys on those who need him a lot more than he needs them – Russo, who will have no job if she can’t keep the ratings going, and Ahmed, who has no home nor job and depends on his $30 a night navigating Bloom from job to job. 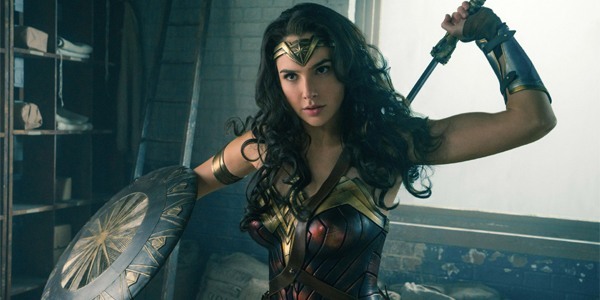 It’s an incredibly dark film – both in lighting and in subject matter – but there is little violence and what there is has usually been filmed by Bloom. It did make me wonder, however, just how much of the news we read or see has been rigged to boost sales or ratings, or is actually an objective report – and it confirmed that whatever lessons may have been learned from the phone hacking scandal, nobody’s really interested if they can’t get a story. My hair isn’t as black as it once was and certainly the old waistline doesn’t appreciate a corset much these days. That heady combination of marriage, motherhood and having to work for a living has taken its toll on my Gothic wardrobe somewhat – not that I care really. It’s never been about the wardrobe for me and sometimes, not standing out from the crowd has actually done me some favours. But there is always that thought in the back of my mind that Goth is a “young person’s thing”. I’m at my half century and “young” is not a word I tend to hear anymore. I certainly don’t look the part – more mumsy than Morticia – but mentally I haven’t changed at all. Should I be bothered? 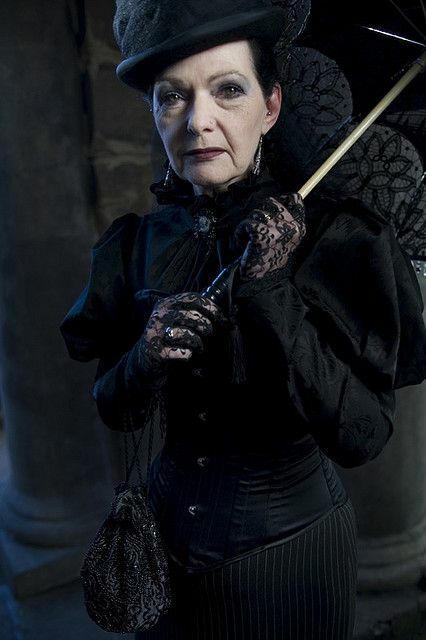 I saw a picture some time ago of an “elder Goth”; a fabulous lady who looked a little older than I am now and dressed in full Victorian mourning. This is so far away from how I see myself that I could have been looking at a 20 year old with green hair and spikes on her feet. That said, it was very inspiring to see that age is not a barrier for those of a Gothic bent and quite a few still make the annual pilgrimage to Whitby for the Goth Weekender. I suppose as one gets older death becomes slightly more of a reality – the funerals start to outnumber the weddings and christenings are often optional anyway – so perhaps it is easier to put off the inevitable rather than try to come to terms with it. In a roundabout way, I’ve found it very life-affirming; having made my peace with Death, it no longer scares me, so I can really enjoy life in a way that I hadn’t fully realised I could. At its heart, Goth is a broad church and very inclusive – you won’t be judged on your Goth credentials and there won’t be an exam on the end. All that is asked is understanding, tolerance and an appreciation of the darker things in life – and one can do that at any age. If you were hoping to name your newborn after one of Beyonce’s twins, there’s a bit of a problem – she’s trademarked their names. And she isn’t the first – Harper Beckham is now a trademark, so anyone wanting to name their child Harper Beckham Smith may have to hand over some money. Because, ultimately, that’s what it’s all about. There’s a lot of dosh to be made from celebrity endorsements. If you can get a Kardashian to wear your perfume or buy your biscuits, as long as you pay them to say so, they can make a fortune doing nothing particularly special. I mean, what’s special about wearing perfume or eating biscuits? Most people do, but they don’t make money out of it. The trick is to turn oneself into a brand, market the brand and the money will start rolling in. That’s all Trump does. His business is Brand Trump; he doesn’t build or run the Trump Hotels or Golf Courses, he just lets them stick his name on them – for a fee. This is how branding works. The power of advertising is such that by associating a brand with a celebrity (Nike/Michael Jordan) or promoting distinctive design features (Apple), it renders the brand desirable – everybody wants one so they will pay a premium to have something with which to impress their friends. Good advertising and product placement is virtually priceless if it means people are buying YourCola instead of MyCola. And because business is about making money rather than making people happy, it really does pay to advertise. Whether or not children – who are probably not able to make that decision for themselves – ought to find themselves trademarked so that every time they write their name they are potentially endorsing something is something that really ought to be discussed loudly and more often. This is a decision made by the parents, already brands themselves, in the name of their brand, not the welfare or interests of the child. It’s not right really, but then it’s not about right at all. It’s really only about the money.